Dear Hortense: Does A Watched Bud Ever Bloom? Does a watched Witch-Hazel ever bloom? If you are referring to the Vernal or Ozark Witch-Hazel, Hamamelis vernalis, I have good news for you. Yes, it will bloom regardless of whether or not you watch it. I would guess by the nature of your question, that you are watching your witch-hazel buds and impatiently waiting for them to slowly open. Stop doing that and instead go organize your seeds. I keep watching my seed starters for signs of seedlings beginning to emerge. Love the answer. Good advice. It won't be long now. Keep watching! Just like you I watch my buds each day. I am sure if looked at long enough they will bloom. My quince is ready to burst open. Spring is so close! It won't be long now! 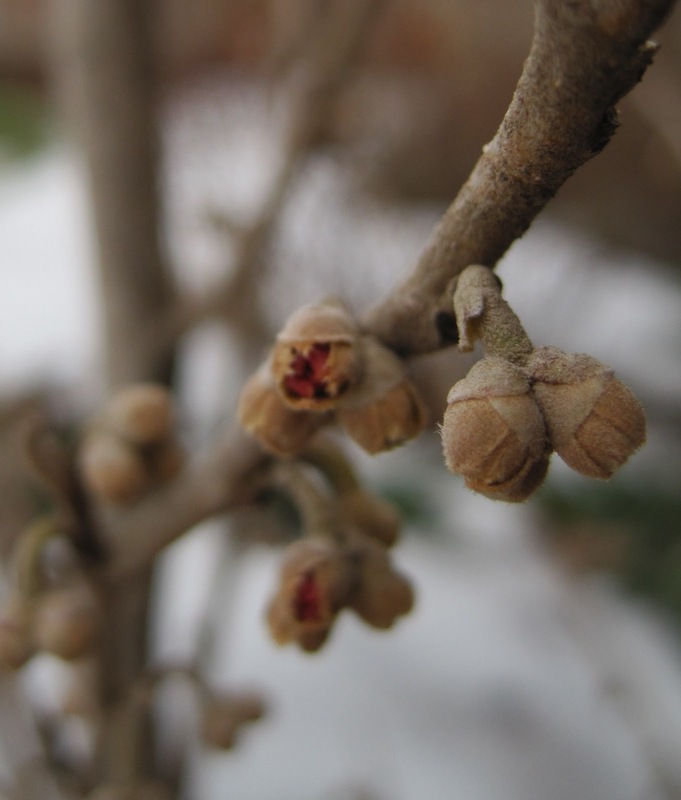 I am anxiously awaiting the buds on my apricot tree! I like to see my tree seed opens. The answer is yes, if you are watching a weed it can bloom, spray hundreds of seeds, grow roots another six inches and laugh in your face all within a 30 second glance.